This is a review of the best dog breed you will ever find out there. Most already have this perfect friend in our homes. The Labrador Retriever is the best pet you will ever have in your home and there is nothing to take away from him. This is a great dog breed to have in your home; very friendly and very helpful when you need him to. If you are that person who does loads of hard work ranging from hunting to fishing or just mere adventure, you might be looking for an assistant. A companion to help you on your fishing or hunting trips and keep you company as well. You do not have to necessarily look for someone to give you emotional support but rather an aggressive and friendly helper. The Labrador retriever will perfectly well solve your problems. This lab not only acts as a useful work dog but also is the best friend companion. It is not only effective for individuals looking for a working partner but also perfectly suits that family seeking to add an extra family member. It provides your son or daughter, as well as yourself the perfect company. It will provide you with the most effective help in your fishing trips helping you in fetching ropes, hauling nets, as well as retrieving fish. In accordance with its name ‘lab retriever’, it is the perfect solution for the hunters with its broad head and strong jaws enabling it to carry the largest bird ever such as the Canada geese. This lab is currently the most popular breed in America. Its popularity can be attributed to its devotion, obedience to its master as well as its amiable nature. It is a moderate dog not extreme in any way that qualifies it as the best birthday gift for your baby boy or girl. It also perfectly fits in with other pets and enjoys playing with them as well. The dog comes in three different colors from which you can choose from. These colors include black, silver, yellow, and chocolate lab retriever. The dog has extraordinary traits that will make you love it from the word go. It is caring, loving, and do I need to add that it is also loyal? and patient too, that best suits your family requirement right? It has an exquisite physical look that will make you love it from the word go. Their basic physical appearances are its broad head with a stop, and characterized by thick nose that is black on black and yellow labs and brown on chocolate dogs. However, the nose color fades with time as the pup matures. It has a wide muzzle and its teeth meet in a scissors or level bite. The neck is proportionally wide and very strong enabling it to carry large loads. The body shape is pretty long but not as taller. Its short and hard and water-resistant coat enables its bearer to easily clean it. Its eyes are medium-sized and perfectly set apart. The eye color is brown in most breeds with the chocolate one often having hazel eyes. Some other breeds also have greenish-yellow eyes with the silver dogs having gray eye color. The ears are medium-sized hanging down in a pendant shape. The tail is thick at the base and tapering towards the end and is exclusively covered with short hair and lacks any feathering. Its feet are significantly strong and webbed to enable easy swimming. These dogs have critical characteristics that make you love them more. The labs love swimming and playing in water that will personally motivate you to take part in many fun activities especially swimming alongside the water-lovers. The labs love playing with children, other dogs as well as any adult who possesses them alongside any other pets you possess. Their nature is that they crave human leadership and love to be appreciated and treated as part of the family. These breed of dogs are easily trained due to their high level of intelligence as they are very willing to please their owner. They are reserved with strangers that make them the best party to maintain security in your compound and feel safe once you leave them with your kids. The labs need plenty of exercise and can be a bit aggressive when left dormant. The lab requires both physical and mental exercises that keep it fit because a bored lab dog can easily get into trouble. The dog breed will survive in an apartment environment if you expose it to plentiful exercise. The enormous exercise is attributed to the fact that the Labrador dogs were initially designed as hunting dogs. Consequently, they need an alternative source of interesting things to occupy themselves with and at the same time get rid of the extra energy that builds up in them with time. However, it’s most effective in a compound with a yard. A the same time, taking them out of the compound for a couple of minutes is not enough, as they soon become bored that can be alarming as a bored lab can be a bit destructive and rambunctious. These dogs are also associated with high levels of energy at a tender age to a period of two to three years. The pups can easily blow off any unstable people off their feet, including toddlers. 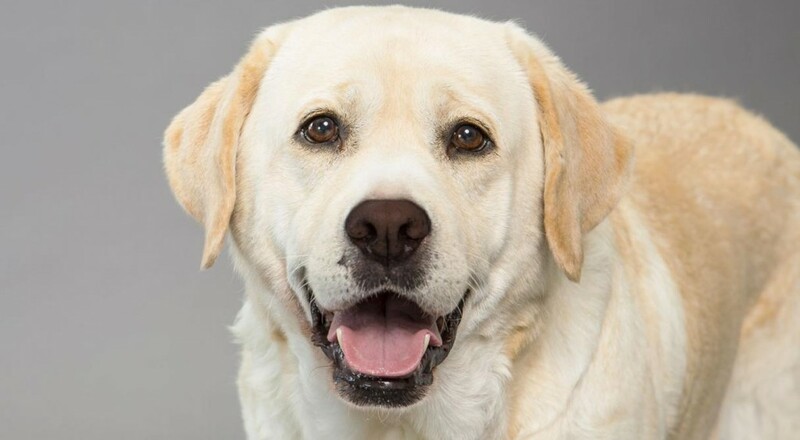 Therefore for safety of the entire family especially that comprising of children, adopting an adult Labrador from a rescue team would be very effective. 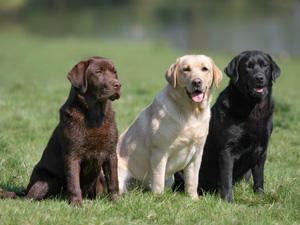 The mature labs are temperate and calm breeds available in a large number. The most fun activity of the labs is swimming with their webbed feet; they significantly enhance their ease of swimming. However, before purchasing the dog, the primary factor to consider is heir health status. The Labrador breed has lately become a victim of long-term diseases. Hence, purchasing a healthy breed is not a permanent solution to the threat posed by diseases; however, keeping them healthy is the most crucial factor. The most common diseases among the Labrador retrievers include heart diseases, bone and joint disease, epilepsy, or even cancer. The healthy labs live to a period of 12 or 13 years while the above mentioned diseases take the lives of some labs at the age of 7 or 8. The best way to use to keep this dog safe include giving them the right vaccines, that prevent the occurrence of fleas, ticks and heartworm as well as providing them with the rightful healthy meals. The breed easily gains weight so it is advisable not to over-feed them so as to keep them healthy and physically fit. Another crucial step involves keeping dangerous objects that are risky to the dogs away from the homestead. While taking the lab on their daily exercise, it is advisable for the person holding the lead to lead the way as the dogs mind is set to belief that the human is the leader and the leader should always lead the way. After the exercise, the lab will be glorious if you give them a job to complete exclusively on their own. The male labs have a height of 22-24 inches with a weight range of 60-75, while some type can go to a weight of 100pounds. The female labs have a height of 21-23 inches with a net weight of 55-70 pounds.